Gary Chapman first penned the bestselling The Five Love Languages more than ten years ago. The core message has hit home with over 5 million people as it focuses on the need to "feel" loved. This need is felt by married and singles alike. Dr. Chapman now tackles the unique circumstances that singles face, and integrates how the same five love languages apply in their relationships. For example, in a business environment, when and how is physical touch appropriate? Take the love language test included. 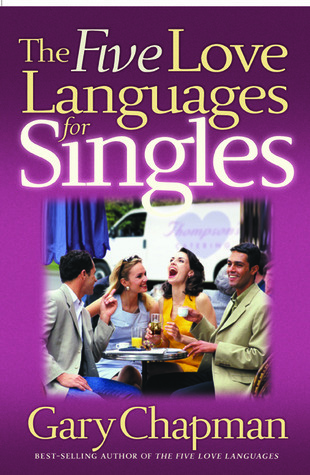 If you've read the original Five Love Languages, you can save your money and don't bother to pick up this particular edition. It doesn't really have anything new and the author doesn't seem to have a very positive attitude when it comes to dating. I would also warn you, dear readers, that this book has a heavily Christian tone to it and while that's great for some, it does rule out a lot of readers who may have benefited from the concepts in this book. My recommendation? If you want to know about the Five Love Languages, pick up the original book or just do a quick Google search. Leave this particular book on the shelf.